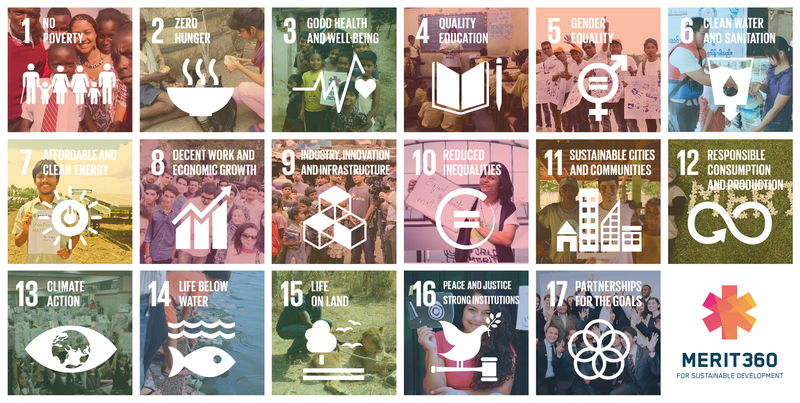 We are a group of 14 students and alumni from the University of Southampton who have been selected to join 360 change-makers from all over the world in our quest, and passion, to take action regarding the United Nations Sustainable Development Goals . As part of our requirements for being a part of this amazing and life changing opportunity, we are each required to raise £750 to contribute towards the overall cost of the 16 day programme - which culminates in presenting our ideas to the United Nations. The programme will be a once in a lifetime opportunity for each of us and we believe our ideas will bring real change to the World. The Merit360 programme provides a significant opportunity for global citizens, like us, to tackle the United Nation’s Sustainable Development Goals (SDGs). The programme uses innovative techniques to inspire younger generations to help tackle these goals by designing a strategy to take action and inspire change through the creation of social projects. We have all been fortunate enough to have been selected for this prestigious event to represent the UK and the University of Southampton. Through our experience in social enterprise, sustainable development and academia, we are aiming to create new projects to tackle the SDGs and create a better world for tomorrow. We are engineers, teachers, scientists and innovators, and we aim to make a positive impact in our global community. We all have our own set of skills and experiences that will allow us to create innovative and sustainable solutions to some of the world's most challenging problems. Through our previous involvement with other organisations, as well as the research we've conducted and the papers we've written while at Southampton, we have already made our first steps in creating and running social projects. These projects range from water filtration tanks for rural villages in Africa, to solar lamp rental schemes in off-grid locations, to entrepreneurial empowerment of vulnerable women in Southampton. We are now ready to take the next step and achieve the same success we have with our previous projects in a much larger, global scale. And World Merit360 is the first step to helping us achieve our ambitions. Will you help us start that journey? The total value of the programme, for each attendee, is £6,000. However, through World Merit and their sponsorship partners, the cost to for each of us to attend is just £750. This contribution helps us to pay for our accommodation and meals for the 16 day programme in New York - and allows us to benefit from the programme's stellar and once in a lifetime opportunities including, providing each of us with valuable skills that will develop us both personally and professionally while also allowing us to be a part of the creating the World Merit Action Plan with our peers that will be presented at the UN in New York. We need YOUR help to get us to New York to participate in Merit360! All contributions will go directly to this cause and with this being an 'all or nothing' project, if we don't raise the funding, we won't be able to benefit from this amazing experience - one that will definitely carve our a great future for each of us attending. The University's Alumni & Supporters Annual Giving Programme has generously offered to match fund our project - meaning every pound you donate will be doubled! That means your £10 donation will automatically become £20, which is then reflected in the total as we continue to fundraise. Please follow our social media platforms to keep up to date with everything we get up to on our quest to change the world! Even if you cannot contribute monetarily, we would really appreciate your support in sharing our campaign to reach as many people as possible! You can also sign up to be a Helper or a Follower of our project. Simply use the buttons at the top of the page to register, help us spread the word (using your own unique link to the project) and stay updated about the success of the project!